Tired of hibernating? Spring back into a new YOU! At SANA'S HAIR DESIGN we have all it takes to give you the look you have always wanted! 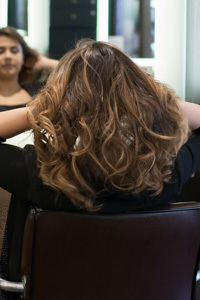 Spring is in the air, come let our master stylists make you look and feel your best!! Consultations are free. Swing by or call, and let us make you SHINE! FALL IN LOVE WITH YOUR HAIR AGAIN!! Sana's Hair Design is offering FIRST TIME clients 20% off their services, excludes UP-DO's and Blow Outs. All of our trial/ travel size products are 15% off when you mention this ad!